It's no secret that masters of poker think differently than ordinary people. 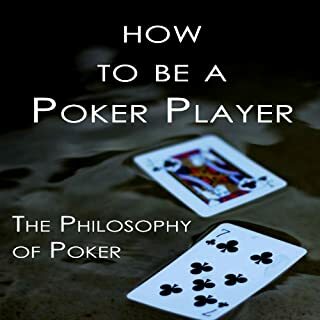 In this truly groundbreaking audiobook, Haseeb Qureshi, retired world-class high stakes poker pro and instructor, takes you on a journey of rediscovering the game of poker from the inside out. He explores the depths of strategy, psychology, and philosophy within poker, and teaches you his uniquely scientific perspective on approaching the game. Hands down, best book I've read thus far. thanks l, Haseeb was amazing start to finish.